Does a Cat Need a Rabies Vaccine to Travel Overseas? “Nearly all countries worldwide will require that both dogs and cats be vaccinated for rabies at least 30 days before entering the country, so you’ll need to plan several weeks in advance to ensure that you cat’s rabies vaccine records will be accepted when you arrive at your destination. Many rabies-free countries such as Australia, Japan, New Zealand and even Hawaii will require an additional step – a rabies titer test. 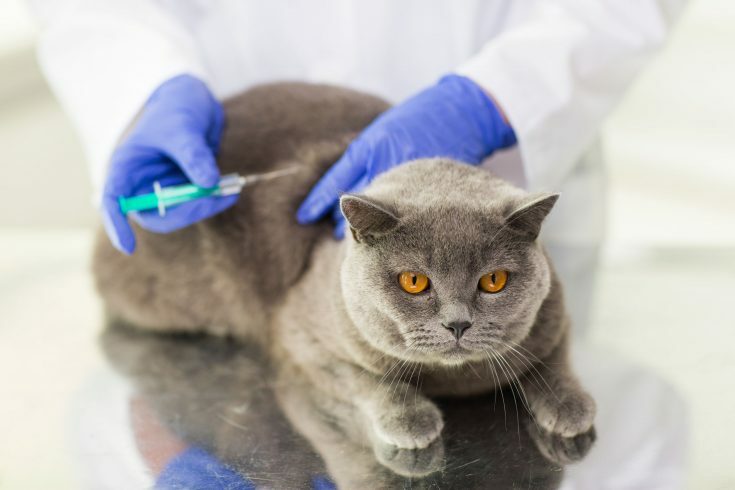 The titer test will measure the level of antibodies in your cat’s blood to be sure that their rabies vaccination was effective and they are protected against this disease. The Pet Travel website has an excellent guide to these requirements on their Pet Passport & Quarantine page. You can also find additional information about traveling with your pets on The Contemporary Pet’s Pet Travel page.